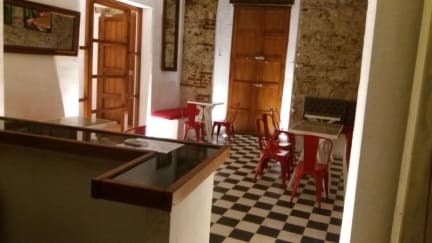 Great price alternative compared to a hostel. Great location! Clean, quiet, fantastic rooftop pool with panoramic views of the city. Included breakfast was wonderful. Hot showers. This hostel was the best decision ever. The location is unbeatable it’s so cute and clean and the roof top pool is awesome! The front desk staff is also very nice and friendly. I have nothing bad to stay about my stay here! Will definitely go back! A great little hotel in the heart of a cool district. The rooms were lovely and had good aircon. Bathrooms also really good with nice showers. 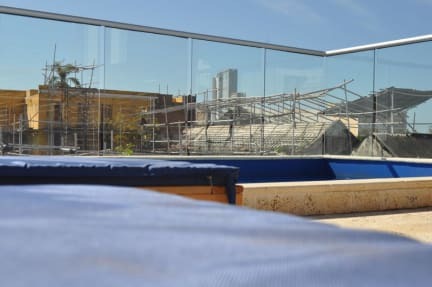 We loved the use of the rooftop pool although it would have been nice to be able to use the space in the evenings as it was a great relaxing area. The hotel is perfectly located for loads of evening entertainment and only a short walk to the port and walled city for daytime activities. Great swimming pool, clean and quiet. Nice room and very friendly helpful staff. Only con is that WiFi didn’t reach our room. Breakfast was simple but good for the price. Rooms were clean and spacious and laid out well. Good location near lots of restos and bars. Great value for money. Would stay again.